Lady Bunny Blog: DON'T MESS WITH TEXAS LADIES! DON'T MESS WITH TEXAS LADIES! Guns are allowed in the Texas state legislature, but tampons aren't. 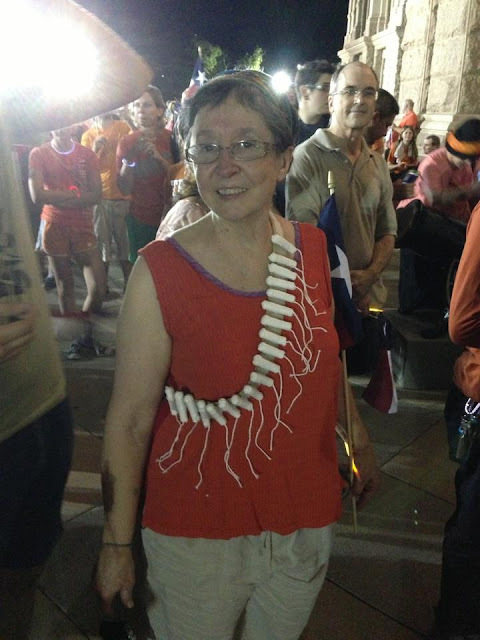 So this clever gal has "armed" herself for battle with the idiotic forces which seek to shutter most of the state's abortion clinics. It's wonderful to see these Texas gals standing up for themselves! LOVE KIDS, BUT ALSO ENJOY WALKING ON SIDEWALKS! SOMEONE'S BEEN TO SEE DR. SEUSS!